Submitted by David Esq. on April 13, 2015 – 6:50am. I decided to make the “Sesame” bread from Tartine Bread, which is basically the basic country loaf formula with a cup of toasted sesame seeds added after the first turn. For this formulation, I used 300 grams of home ground white whole wheat instead of the 200 grams of whole wheat flour. I took the old starter out of the fridge on Thursday night, fed it, then fed it again in the morning and it was nice and lively Friday evening when I created the levain using 200 grams white whole wheat and 200 grams all purpose flour. 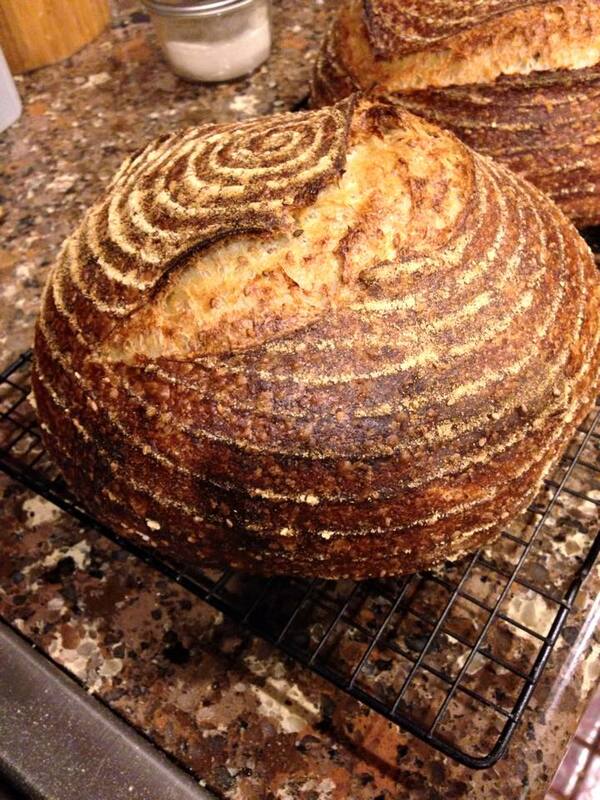 By the next morning the levain was much expanded and looking very much alive. (I made two whole wheat loaves and two sesame loaves with my levain). The dough for the sesame loaves were mixed Saturday morning and baked Saturday evening. The bread is absolutely delicious. 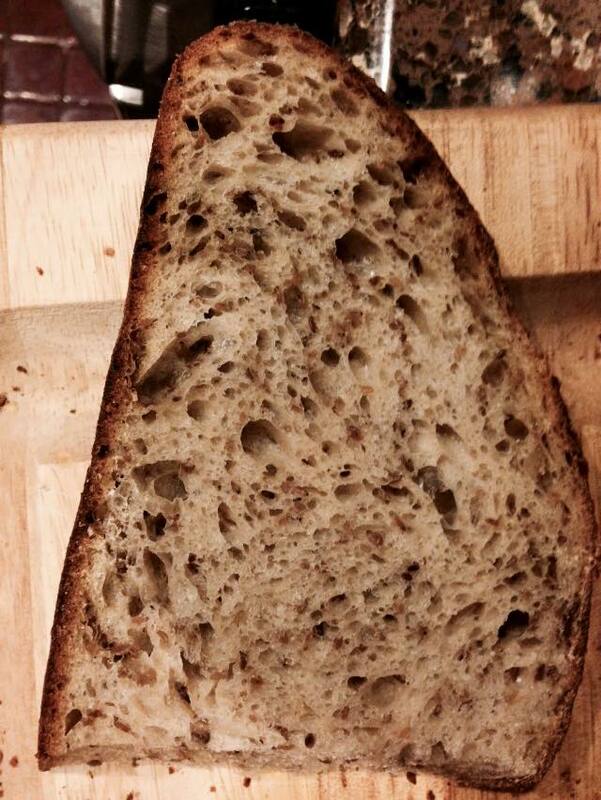 The crumb is very soft despite being loaded with sesame seeds. I assume this is because the seeds are soaking in the dough for over four hours before baking.